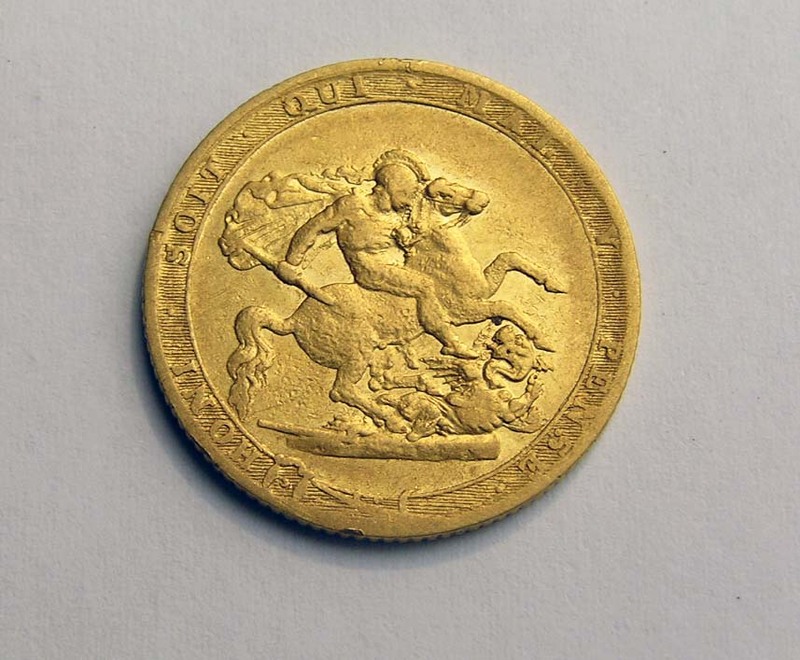 Read about our customer treasure finds. I often liken detecting to fishing sometimes we come home with very little, sometimes we get a lot. Like fishing rod, bait etc, detector choice and location can make a big difference. My passion for Metal Detecting has led me from hobbyist to now teaching and sharing with others. Recently a ‘perfect opportunity’ arose while working a stand at a camping show with David Watters, Owner and Manager of Miners Den Australia. The location was ideal being a show ground where many events take place. As part of the day we ran demonstrations using the Minelab CTX 3030 metal detector and headed out onto some grassed areas. 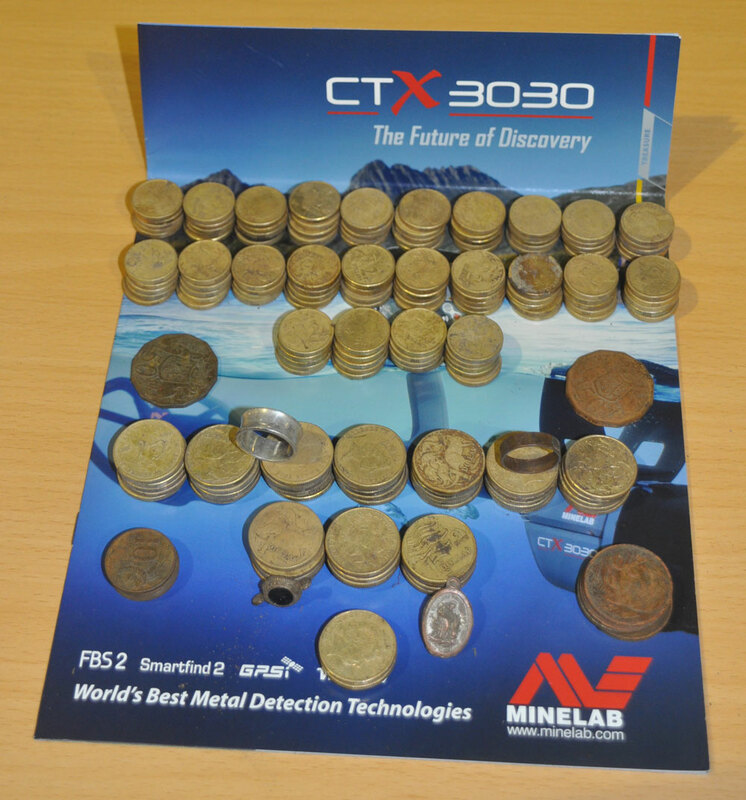 At first I chose to run the CTX 3030 in its standard coin program, this worked well. 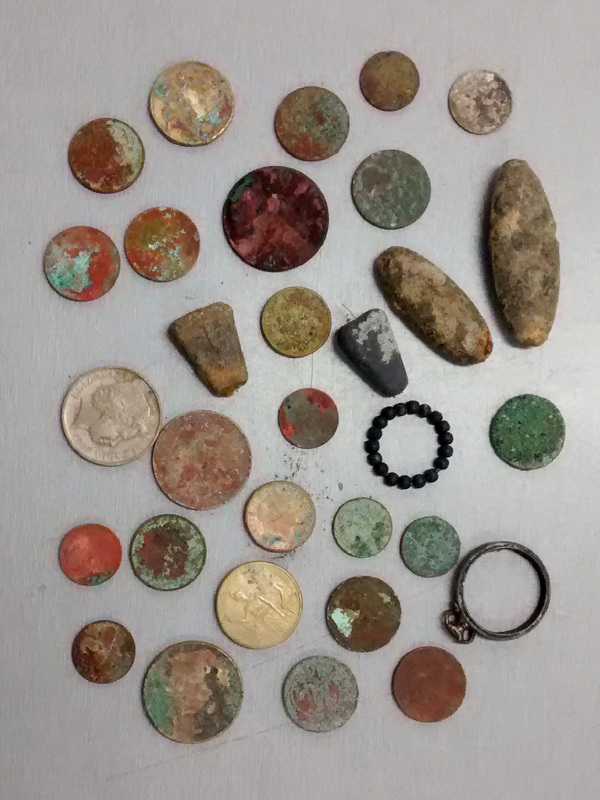 A few coins and rubbish soon were in the finds bag. Due to the amount of trash and signals I decided to modify the discrimination on the CTX 3030 so that only $1 and $2 coins (Goldies) and above would register with a nice high tone. fast on, giving the machine time to process the many targets. deep off as most goldies are rarely more than 8 inch deep. Audio gain 8, so as not here any deep targets and give the CTX 3030 a little more processing power. 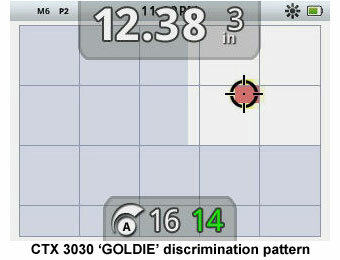 On the CTX 3030 Goldies come up on the target ID as a 12/38, depending on depth and orientation these numbers can read from 12/37 to 12/40. Any target dug that read 12/36 or 12/41 was either a bottle cap or junk metal. It is worth noting that targets that jump around indicate rubbish due to irregular shape. Shredded aluminium being a great example of this. On the second day I brought my personal machine and Dave and I set off liberating as many Goldies from the earth as possible. It was not long before coins began to flood in. This generated a lot of interest in show goers, “What are you looking for?” was the usual question, no one had to wait very long to see coin after coin pop out of the ground. Most coins were either just under the surface of the grass to around 3-4 inch. Due to these ideal conditions I was able to show Dave and the show goers how it is possible to pop the coins using nothing but a screwdriver. Another tool we used that makes locating shallow coins quick and easy is the Minelab PRO-FIND 25 pinpointer. Once a desirable target is found and the depth shown is less than 3 inch. A simple wiggle back of the CTX 11″ DD coil until the target stops reading on the machine. The target will now be at the tip of the coil. Turn on the PRO-FIND 25 away from any metal, drag around the suspected spot until you have it right under the tip, then probe with a screw driver and pop the coin out. There is nice solid feel when the screwdriver hits the target. If the target is a screw cap then a little ‘push’ and the screw driver will push through it with ease. Due to the intense interest in what we were doing the tally would have been much higher. 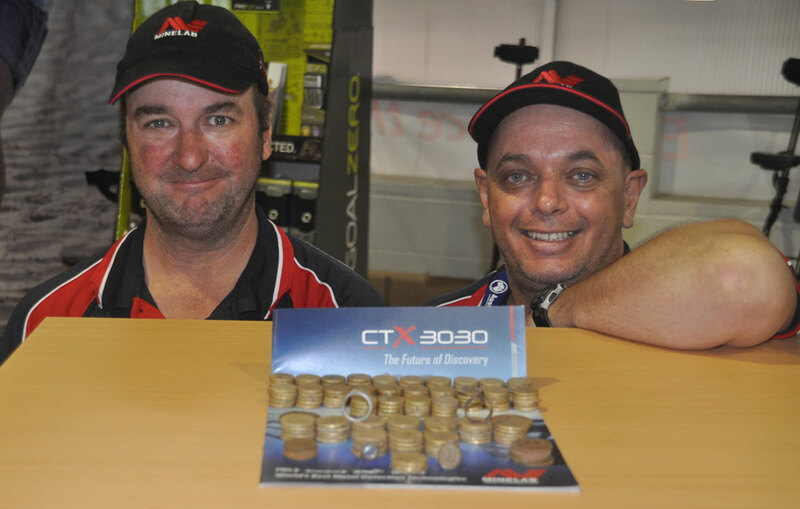 Lots of time was spent talking about what we were doing and the CTX 3030. Also found was a nice silver ring. I was so confident in the CTX 3030 ID that I was bold enough to call it before digging it. It rang up a solid 12-46 and in my experience in hunting pre-decimal I knew it was a great chance of ‘a silver’ and up a silver ring popped. Grand total for what was probably 4 hours of swing time was $297, not bad in anyone’s book. 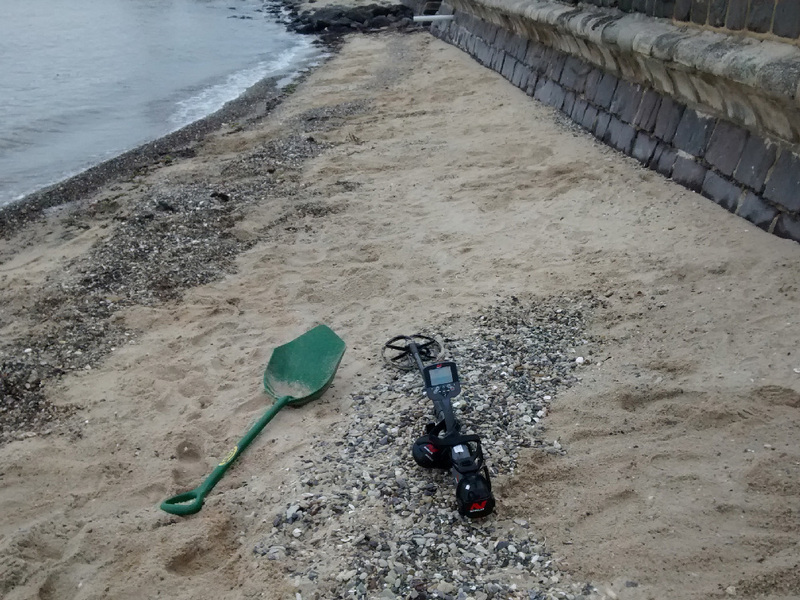 I’ve had my Minelab CTX 3030 Metal detector for about 1 month and was detecting in a heavy junk area. Using the Coin/Ground Separation setting I was lucky enough to pick up a signal which turned out to be every treasure hunters dream! 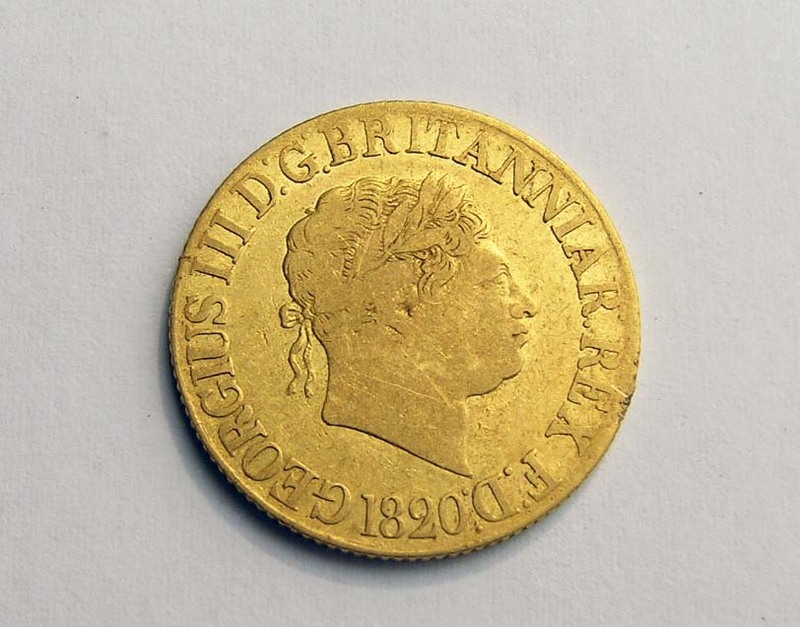 An 1820 Gold Sovereign!! WOO HOO! !